We all have our own Christmas traditions. Mine is to read the same books every year. I never tire of Dylan Thomas' A child's Christmas in Wales. Nothing is more festive or cosy. 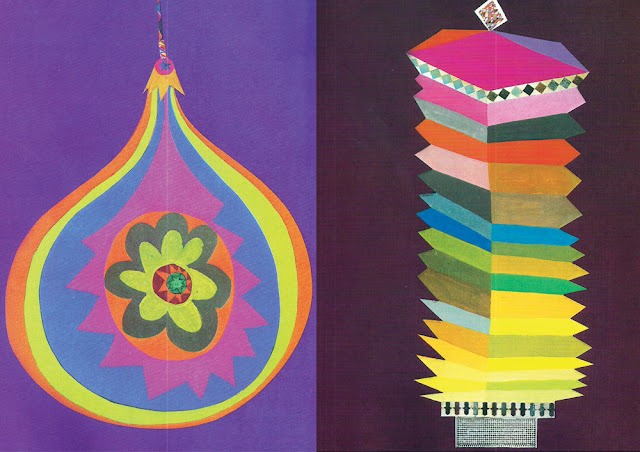 I also revisit Jan Pienkowski's Christmas for the beautiful retelling of the Nativity in sumptuous silhouttes. I seem to have a little Christmas collection going. The book above is a much treasured gift. It dates from 1958 and contains my favourite colour combination in simple bold images. 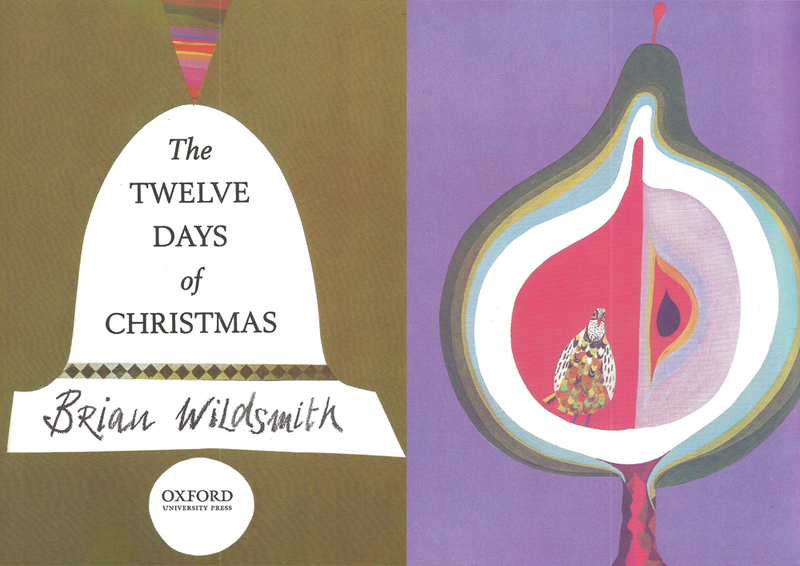 Another favourite is Brian Wildsmith's The twelve days of Christmas first published in 1972. The colours and images are sumptuous with fantastic painterly textures. These books have inspired my own Christmas cards this year. I've been having a lot of fun with paper and scissors to create some baublesque collages. If you want to see more of what I've made have a peek at my Festive Youblog post. Love this post Esther..Merry Xmas!